Dan Crocker, A.K.A. booze reviews, is the king of beer reviews. 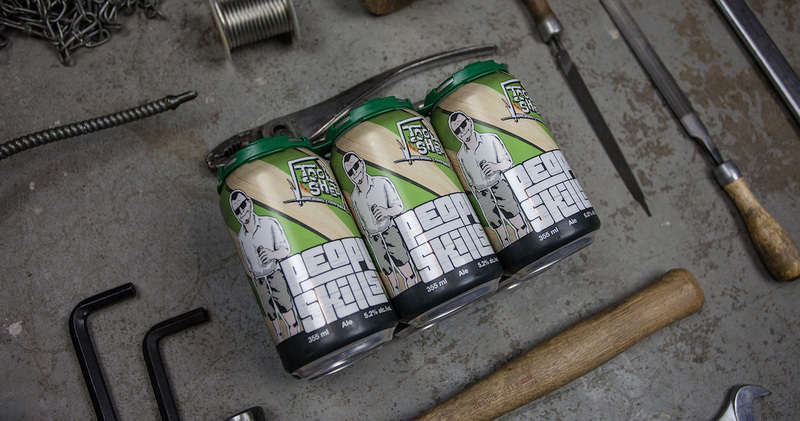 Watch Dan’s video below to see just what he thought of Tool Shed’s People Skills Cream Ale. “This cream ale is influenced by a man who hates birthdays; so much so in fact, that he nearly caused an international incident over a birthday cake! Our friend Joe taught us that not everyone is born with People Skills so thankfully it now comes in a can. Everybody knows someone who could use a pint of people skills now and then; now you can buy them one. Our session-able cream ale is light, refreshing and unlike Joe, tries to get along with everybody. This smooth, lightly hopped ale offers a beautiful mouth-feel and a golden, crystal clear appearance. It’s a real refreshing crowd pleaser. Could you or someone you know use some People Skills?